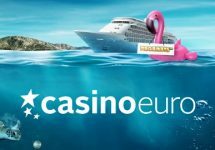 Casino Euro – Daily Deal / Week 44! Enjoy Halloween with daily deals! Get a daily deal for Free Spins, Reload Bonuses and more! Enjoying the haunted season so far? There are certainly plenty of extra campaigns running at virtually every online casino to give a spookily-good time while we don our costumes and go out for a “trick or treat”. Only treats are available in the coming week at Casino Euro, thanks to the ongoing Daily Deal promotion with bonuses, Free Spins or tournaments waiting to be devoured. Get off to a flying start this Monday with a generous deposit bonus that will give your balance a great boost. Then check back daily to reveal the next offer! Not yet on a mission at Casino Euro? 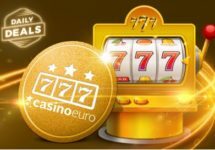 Then sign-up now to claim their 100% Welcome Bonus, up to €150! Bonus terms and conditions apply. 18+ only. 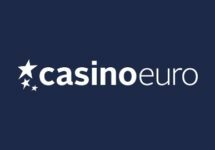 Monday, 30th October 2017: Reload Bonus – Deposit minimum €10 to receive a 50% deposit bonus, up to €25. Wagering requirement is 40x bonus within five days. 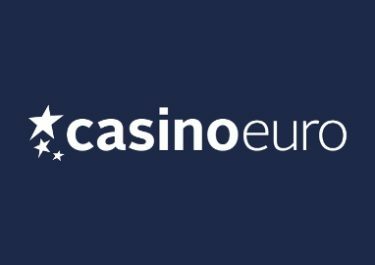 Tuesday, 31st October 2017: Cash Back – Get a 100% cashback bonus on net losses when playing Jackpot 2X, up to €50. Cashback is credited by 10:00CET on Wednesday with a 5x WR. Wednesday, 1st November 2017: Trolls Cash Race – Spin actively with cash bets on Trolls Bridge from 15:00 – 23:00 CET to randomly trigger one of 81 instant cash rewards between €10 – €500. Friday, 3rd November 2017: Goodie Bag – Deposit min. €30 in a single amount to instantly receive 30 | 30 Free Spins on Gonzo’s Quest | Viking Runecraft. WR is 15x FS winnings within 5 days. Saturday, 4th November 2017: Pumpkin Cash Giveaway – Spin actively with cash bets on Pumpkin Smash from 15:00 – 23:00 CET to trigger one of 81 random rewards between €10 – €500, instantly credited in cash. Sunday, 5th November 2017: Viking Mission – Get 20 | 100 Free Spins when you hit Ragnarök 1x | 5x on Viking Runecraft, credited on Monday by 15:00 CET. WR is 15x FS winnings within 5 days.